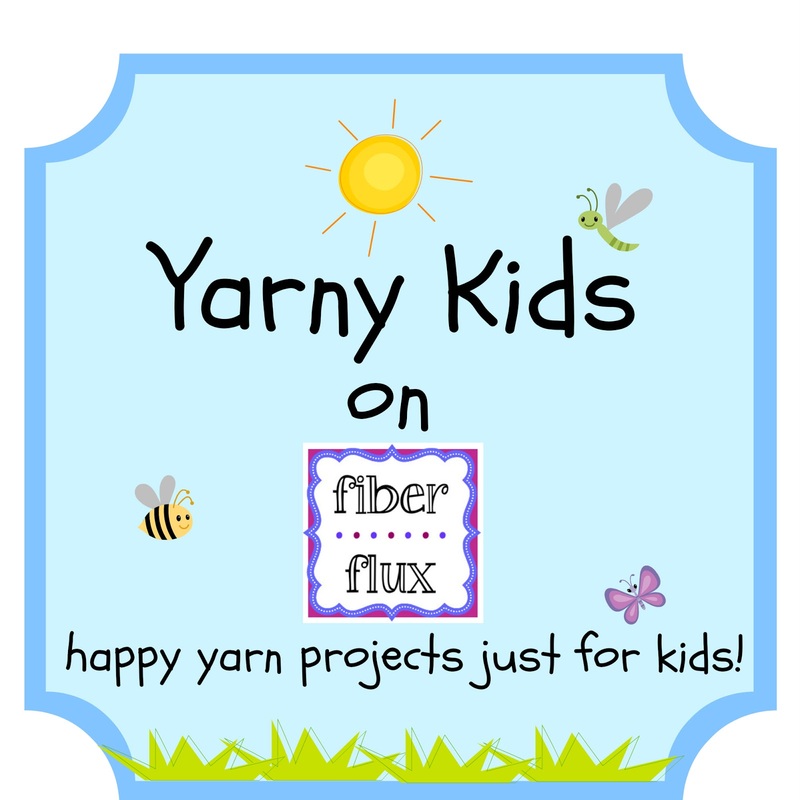 Click here for lots of Yarny Kids Projects! 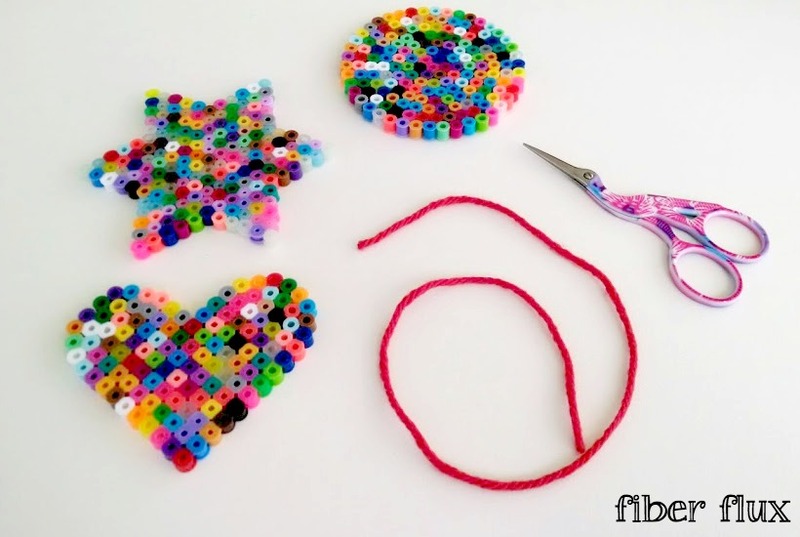 Begin by making your shapes using the beads and the peg boards. 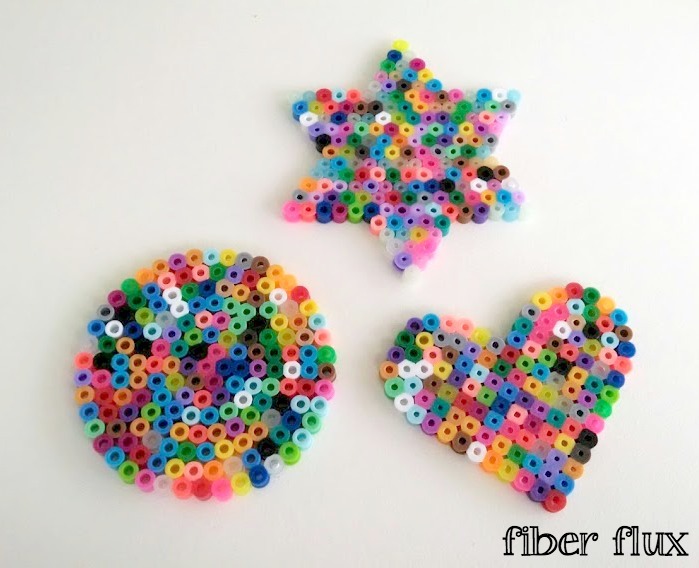 You can do a fancy pattern, or a multi-color mix like we did. 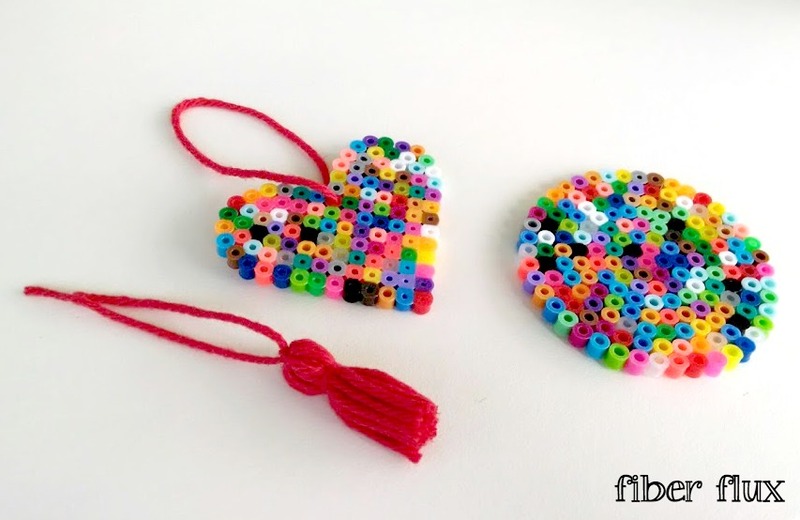 Following manufactures instructions and using the included parchment paper, iron the beads to fuse them. 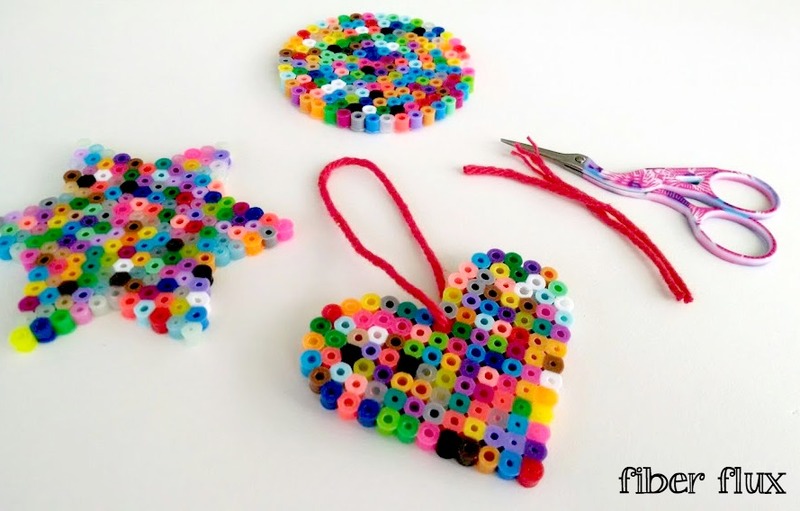 Note: It is extremely important to have the paper in between the plastic beads and the iron so you don't ruin your iron! I found that the non-steam setting worked best. Let cool completely before moving on. 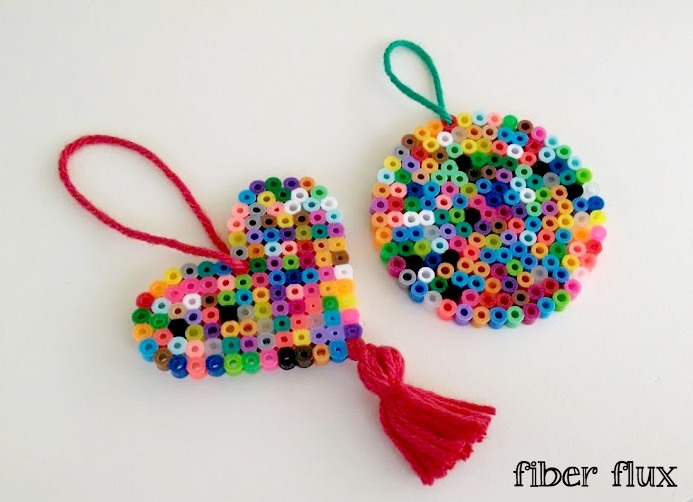 Thread through one of the beads to hang. During the ironing process, the openings to the beads will close up a bit. The yarn needle will help get the yarn through. 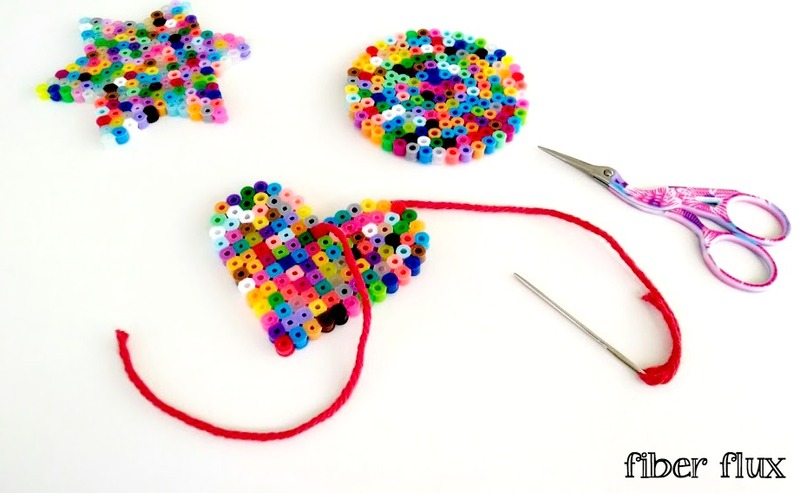 Do this part gently as to not break the joined together beads. 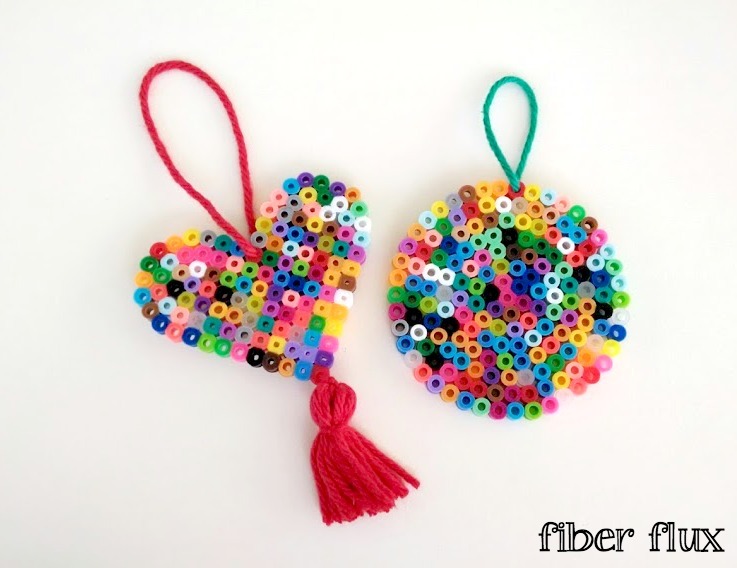 Knot the yarn and swing the knot to the back of the ornament. Note: The red tassel shown in the photos here is made the same exact way, but yarn is only wrapped around two fingers to make the tassel smaller. Finish up the ornament by securing the tassel and trimming the ends. Super cute! I can totally relate to that! !